With the recent incident on the boarder towards Herb Country, Konohagakure shinobi were tasked in mending the outpost tended to watch over and push back those who dared attack the proud, lush and overall beautiful land which gave birth to the one will that united all within. The Will Of Fire. The group was tasked in clearing out the ruble, and overall using their numbers to aid the border in setting up two watch towers behind the several barricades. With several breaks and good teamwork the group was able to deliver; with small set backs. However, they did deliver of the task given and have proven their worth to the patrol on the border. They would not forget the good and swift work the group had provided. 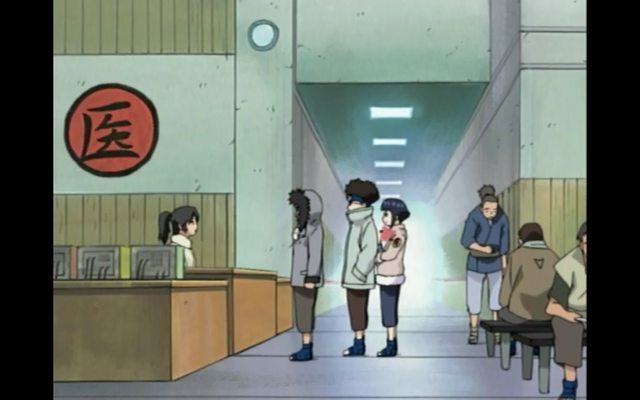 Yet another staff meeting within the Konohagakure Hospital was held. It was decided to put the knowledge of prior tomes given to the new appointed medics to the test. Going through the basics of the human body, its build and its functions. Many seem to fail within the eyes of Kintaro, his patience running low as the number of Ill and wounded kept rising with each passing day. As one hostage was saved another one was taken. A trade of lives which wasn't meant to be held by the team that invaded Earth Country for the sake of saving a life from their own lands. They have gained one, and lost one. The information was carried out to the higher up of Konohagakure where a plan of action was agreed upon. To set out a team, to reclaim the captured life lost in the first attempt of the siege. Further more, to capture any means of information of where the boy might have been taken. To unfold the veil cast over the eyes of the shinobi. Additional Notes: Will be revisited these days to continue. Corrections made. Excellent world building as always, kudos to everyone involved. "What am I if not but a simple, gentle cloud ready to be swept away by the powerful winds? What am I? If not but a leaf stuck in a endless hurricane..?" Set forth onto the task of retrieving their lost comrade, a singular group was tasked in making sure the life of their own wouldn't be taken so easily. However, what they would find was but more then one ninja, one man. Loaded onto several ships were dozens of people. Each chained by iron shackles which pulled their already deprived bodies closer to the ground. Who would do this, and why? So many questions were met unanswered for that split moment. The veil which was placed over the eyes of the shinobi, pulled back. Revealing a, to some known figure. Murasakino, General & fond companion of Lord Shiko's. Knowing well who they were facing, and the large amount of Samurai - the ground requested aid. Which shortly arrived, but at what cost..? "Where were they heading? Why were they in such a hurry? So many unanswered questions remain.."
Lady Emiko Uzumaki has instructed the knew appointed Special Jounin Ichiro and his companion Kat to investigate the once lively docks, filled to the brim with Itami followers and Samurai alike. Earth Country wasn't the most peaceful of places, and thus the group attempted to keel as low of a profile as they could. Moving through the large cascading shadows of the mountain ranges. What would they find? Would their travels be swift or will their strike meet a blade? One could only Imagine.